**My Desert Cottage**: Springtime Nests at the Nest! 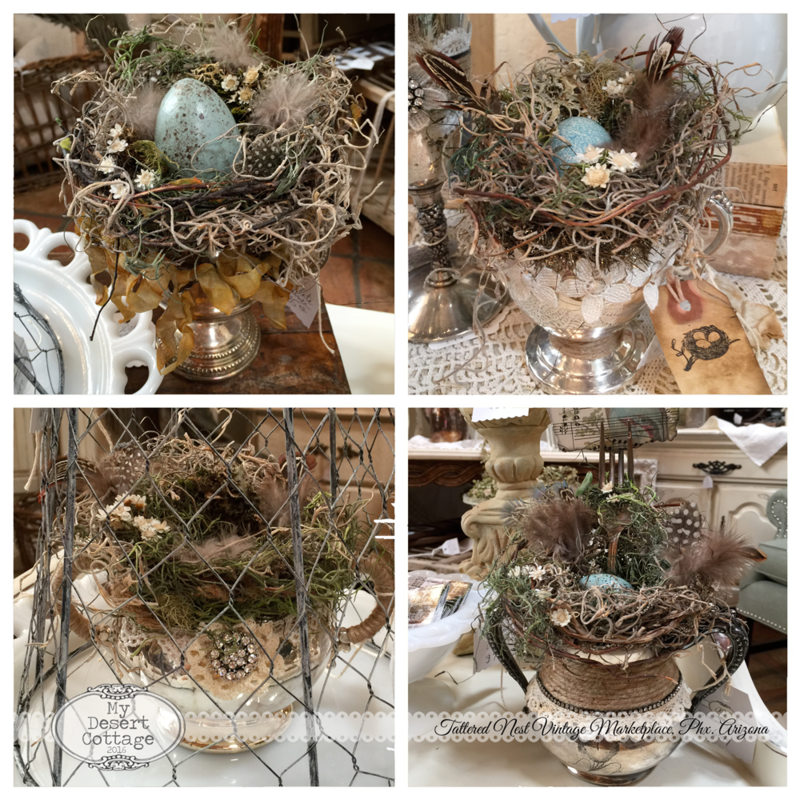 Springtime Nests at the Nest! 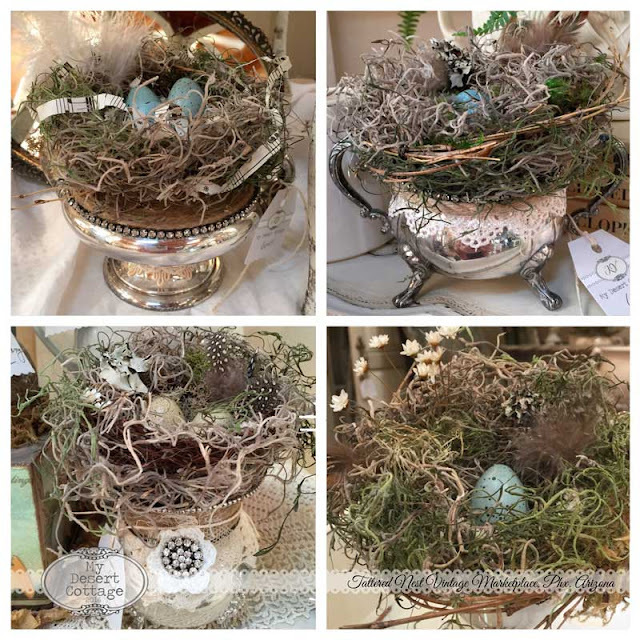 I've been busy as a momma bird making these Springtime nests! I had so much fun making the Christmas trees in silver plate containers for the Holidays that for spring this year I decided to try something new. Each one is different and embellished with the requisite amount of bling! I hope you all are beginning to enjoy Spring as much as we are here in Phoenix! These are simply lovely, Karen! What a grand idea! Super gorgeous! 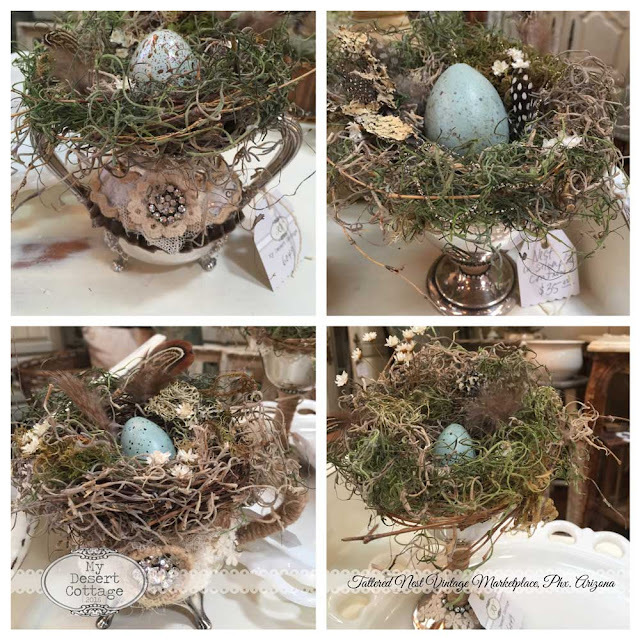 I love all the different ways you nested your nests. These are precious! Do I see a class in the future? Please!!! Those nests are beautiful! Those little loose fuzzy feathers make them look as if real birds are living there. Inspired! Your nests are charming and make me think of my mother. Thank you!